Even though it has been more than a year now since Electronic Arts released its brand new, most critically acclaimed multiplayer first-person shooter video game exclusively on the Xbox consoles, it looks like the publisher is not planning to bring the mech back on stage any time soon. 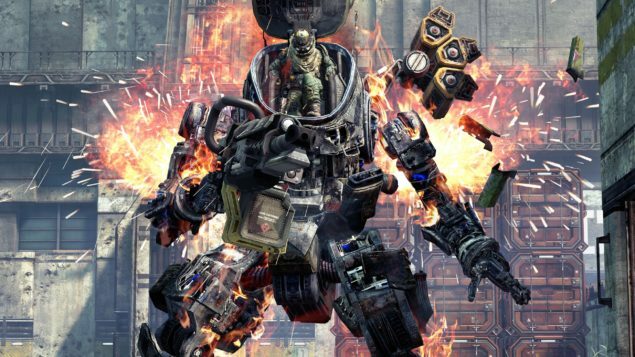 Despite being confirmed that a sequel to the game is in development not only for Xbox One, but for PlayStation 4 and likely PC as well, Respawn Entertainment has just ruled out any chance of fans getting a glimpse of Titanfall 2 next month at E3. First title from Respawn Entertainment, a studio formed by Infinity Ward founders Vince Zampella and Jason West, Titanfall is a first-person shooter that shook up the arena of online multiplayer shooters when it was launched last year exclusively on Xbox consoles. The game attracted millions of gamers with its giant playable mechs and quick methods of traversal. However, as soon as the game came out, it seemed obvious that the next game in the series would not be limited to Xbox platform. A couple of months ago, Zampalla confirmed that Titanfall 2 is in development, and this time, not only Xbox One, but PC and PlayStation 4 players will also be able to enjoy all the multiplayer awesomeness with giant robots. However, if you were aware of all this, and were expecting the developer to reveal the game next month at E3, you might get a little disappointed here. Zampella just announced via Twitter today that the studio won’t be showing off multi-platform sequel Titanfall 2 at E3, or anything else for that matter. He expressed his excitement at having nothing to worry about this year during E3. For everyone asking, we aren't showing anything at E3 this year. I'll get to actually see all the games! While it is clear that Titanfall 2 won’t be anywhere at E3 this year, there is still very little room in Zampella’s tweet to conclude that Electronic Arts themselves might at least announce the game with a logo/name. E3 is of course the most important gaming trade fair of the year, however, it’s clearly not the only place for Respawn to reveal Titanfall 2. Gamescom comes only a couple of months after E3, and Cologne, Germany-based trade show is only second to E3 itself for game announcements.